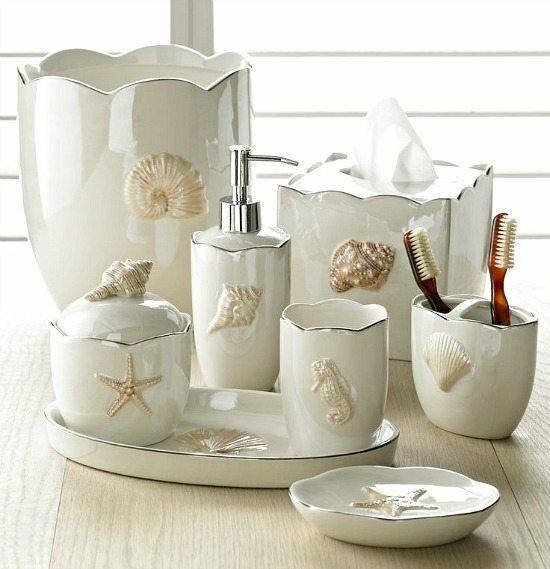 Transform your Bathroom with these Beach Themed Accessories! The bathroom is the perfect place to play off on the water theme. 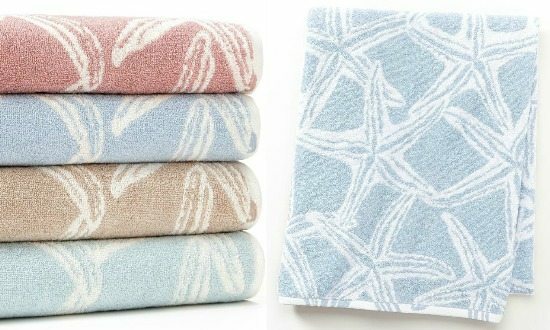 These beach bath accessories and bath towels are designed in motifs and colors that will sooth your soul like a tranquil beach on a tropical island. 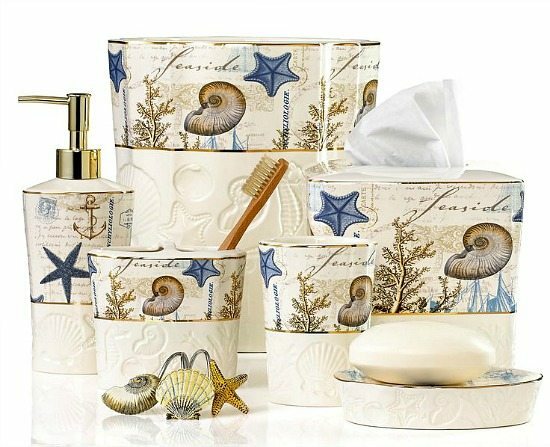 Browse Kohl’s Sonoma Bath Collections and you’ll find a great variety of beautifully designed beach bath accessories to drift away! Shower curtains, bath towels, soap dispensers and more, available as collections or single items. 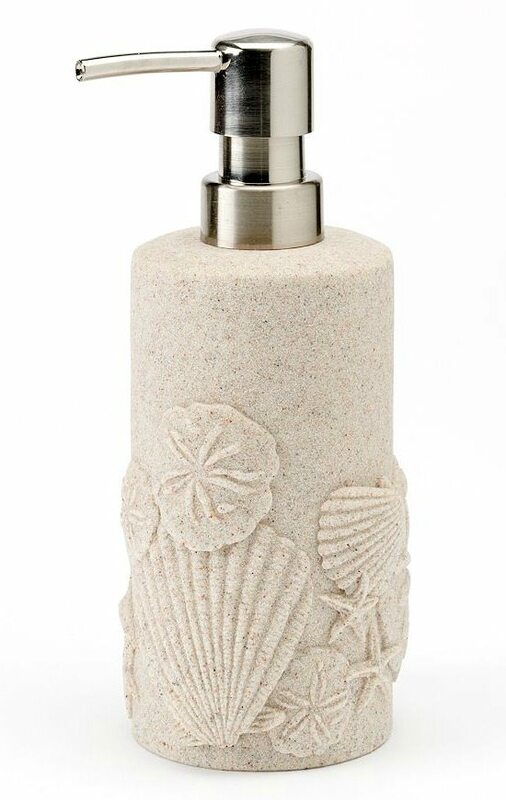 Their Oceanside accessories are soft blue, with a subtle shell design, consisting of a shower curtain, bath towels, bath rug, and an adorable Sandy Soap Pump (below). 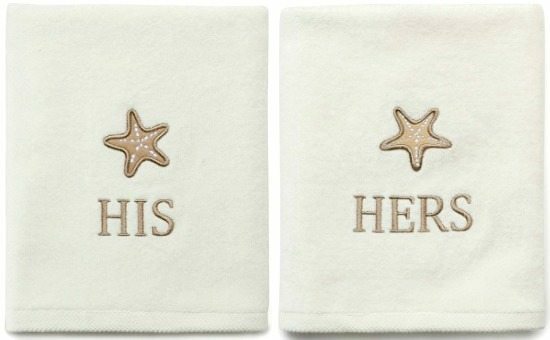 His and Hers starfish bath towels. And they have a guest towel too. 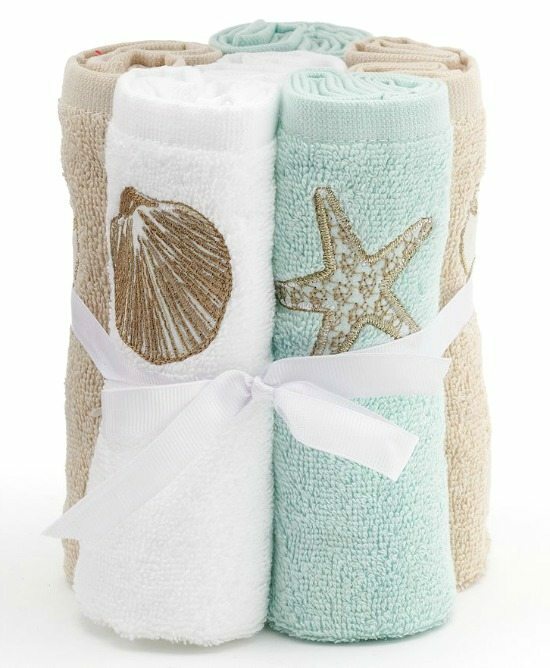 Starfish Bath Towels in different pastel colors. 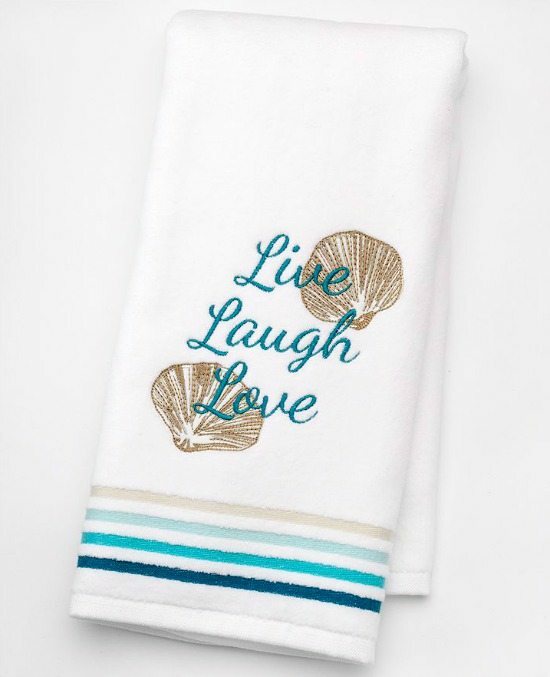 The Shoreline collection features delightful word designs, such as these Live, Laugh, Love Hand Towels, plus a fun shell shaped rug that you might want to check out. This beachy bundle of 6 Washclothes is also from their Shoreline Collection. 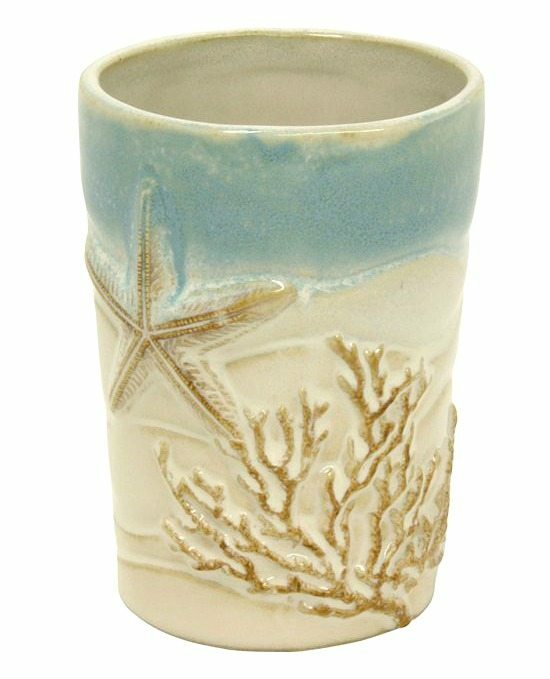 And another design with matching items is Kohl’s Coastal Moonlight Collection. 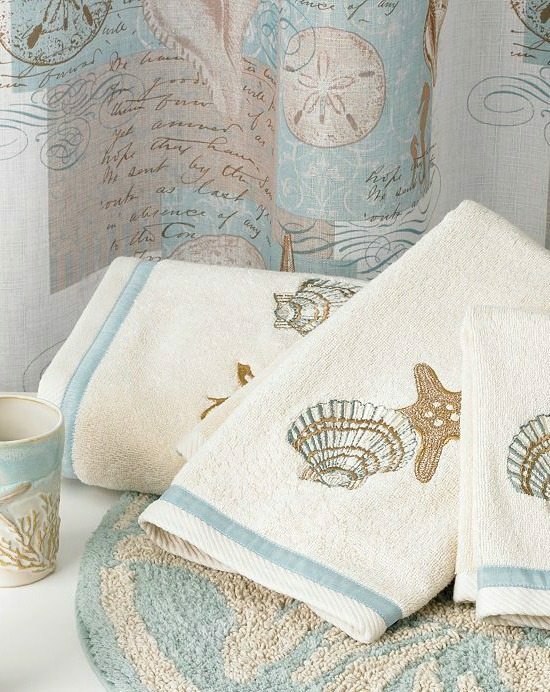 I especially like the round Shell Bath Rug and the Ceramic Beach Tumbler (below). Avanti Seaside is a beach accessory line, sold at Macy’s. A lively design, rich in contrast with a distinct seaside vibe. 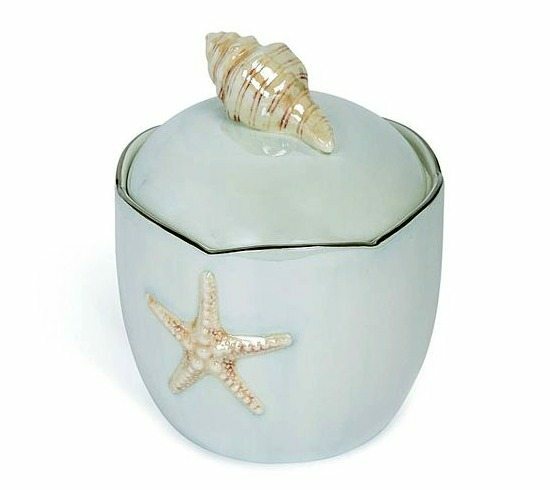 Kassatex’s fine porcelain Mare shells collection reminds of shimmering ocean waters with its pearlized finish. Also available via Amazon, and in seafoam blue, as pictured below. 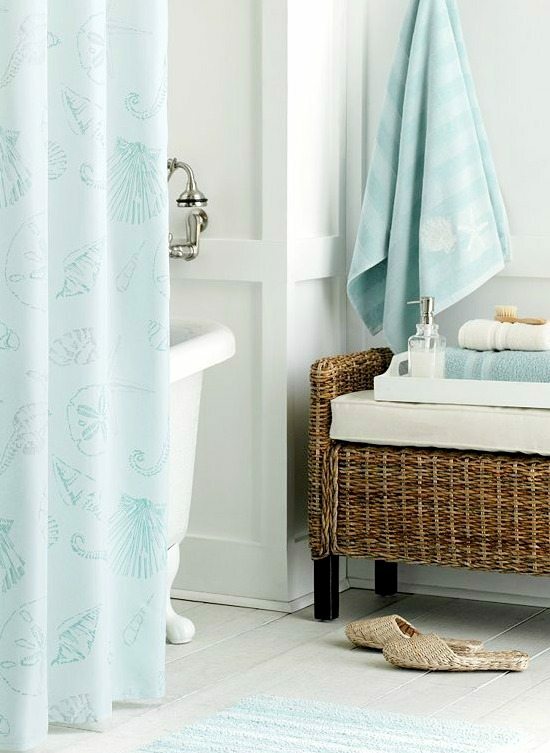 Transform your bathroom into a beach destination by adding beach bath accessories and a Dreamy Shower Curtain. 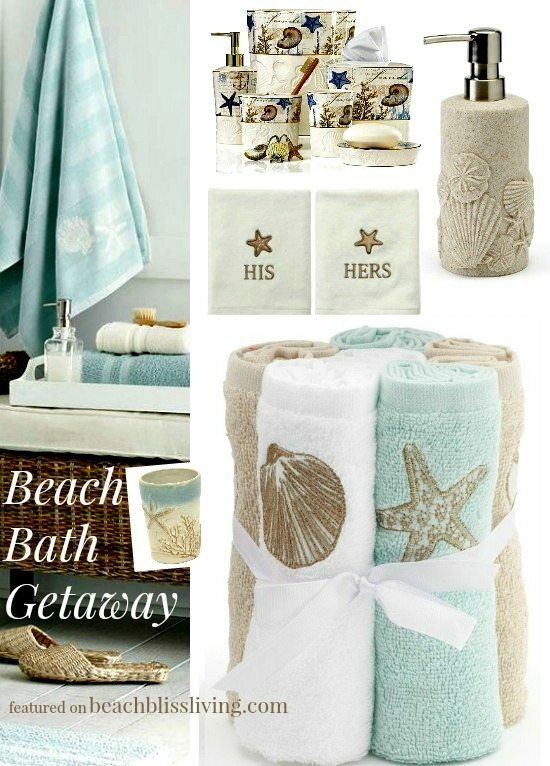 Every beach lover should have their own private beach getaway with a soothing Spa Feeling!